Maybe you’re planning to take advantage of the cold to spend some quiet cuddle or reading time beside the fire — or perhaps Mother Nature is about to unleash a blast that forces you to do just that. Either way, the key is to be prepared. And this season, being prepared means considering tippling some fabulous winter wines instead of the heady single malts or cognacs usually associated with the season. 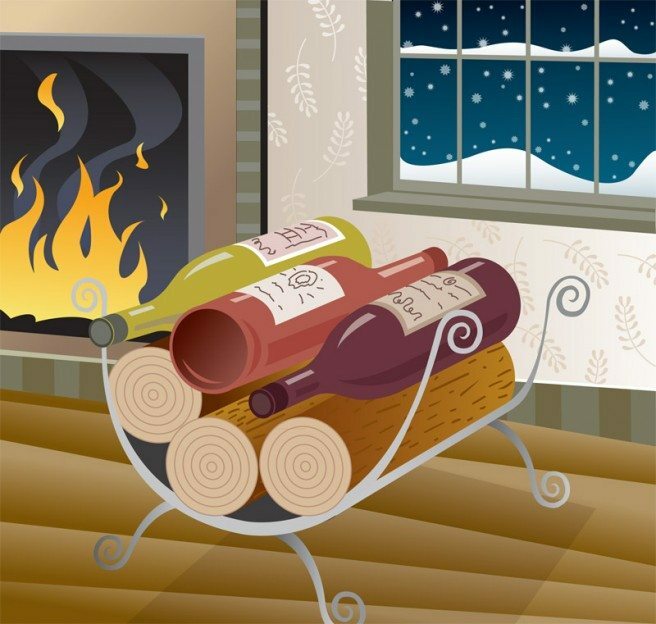 Winter wines are lightly fortified (up to 20 percent alcohol), sweet, and most definitely rich, complex, and concentrated. There is a wide world of such exotica — ports, sherries, tokays, vins santos, and vins doux naturels — that rarely get attention nowadays because they don’t fit the fast-paced, calorie-counting lifestyle that yanks us away from the table too soon and sends us to bed too early. But the fact that these wines are currently less popular is also keeping their prices ridiculously low, given their quality. Seriously, these are some of the world’s great, classic wines — many of them rooted deep in history and employing time-honoured techniques that contribute to their complexity. Many are aged for years — even decades — in barrels or bottles, which adds greatly to their cost. I really don’t understand how the producers are making any money from them — and perhaps they are not, which may be why some wines, such as marsala, have all but disappeared and others are teetering on the brink of extinction. Time to give these smooth, rich wines the love and attention they deserve. In return, they not only will warm the cockles of your heart but are compelling and challenging enough to fill the well of your intellect. So surround yourself with fine cheeses, chocolates, pastries, nuts, and all manner of nibbling indulgences, light that fire, and settle into your winter’s night. Aged 10 years in casks, this is an unbelievably good tawny that pours the colour of fallen red autumn leaves. The nose is superb, redolent of molasses, walnuts, red plum, and smoke. It’s rich, very silky, seductive, and warm. So smooth, with such effortless power! Drink at room temperature; food not required. Vintages 223958. Patterned after French sauternes but now a superstar original in its own right, Australia’s most beloved dessert wine offers a rich, sweet nose of crème caramel, orange, persimmon, and fresh mint/thyme. It is very sweet but braced by great acidity. This signature dessert wine can best be described as outstanding — riveting and with great length. Pair with fruit-based and citrus desserts and flans. Vintages 917252. Colheita refers to a vintage-dated tawny port. This is an amazing price for this 18-year-old perfectly matured example. The nose is a blast of walnut, dried apricot, honey, molasses, licorice, dried orange peel, and earth — so complex! It’s full, powerful, hot, and gritty but presents a tidal wave of flavour. Serve alongside nut-based cakes, stilton, or roquefort. Vintages 216424. Tokaji — Hungary’s ancient and regal dessert wine — is made from botrytis-affected Furmint grapes that have been fermented, sweetened, and aged long in the barrel. This particular example boasts a classic overripe, incredibly complex nose of dried apricot, honey/mead, caramel, pumpkin pie, and some acetone. It’s full-bodied, sweet, and viscous, yet nervy, with dried orange and herbs hitting outstanding length. Chill. Pair with flans, orange/lemon cakes. Vintages 980805. Vintage port needs long bottle age, so it is rare to find a ready vintage at this kind of price. From the single estate, or quinta, owned by one of the most famous producers (the Symington family), this is a very elegant, refined, and savoury mature port with a complex nose of ripe cherry/fig fruit, chocolate, herbs, and terrific hot stone minerality on the finish. It’s full-bodied, dense, and even. Serve at room temperature with stilton. Vintages 487850. This well-aged beauty (1827 is a brand, not its age) from the Pedro Ximenez grape pours black and thick as molasses. It has an extraordinarily rich, complex nose of raisin pie, walnut, and exotic spice. It’s full-bodied, very sweet, and treacly, with surprising balance and silky texture. The flavours carry into next week. My best advice: pour over vanilla ice cream (but appreciate it solo first). Vintages 47944. Vin santo is Tuscany’s signature dessert wine, made from white grapes that have been aged at least five years to morph into this bright orange-bronze colour. The nose is soft and pure, with almond, corn syrup, orange marmalade, and apricot jam. This delectable dessert wine is lighter than port or sherry (15.5 percent). Initially sweet, it then dries to a classic bitter walnut and anise finish. Chill lightly. Perfect for dunking biscotti. Vintages 1008. This is an elegant, sweet, fortified (16.5 percent alcohol) vin doux naturel made from Grenache, Carignan, and Syrah grapes grown organically in the rugged seaside hills of Banyuls in the southeast of France. Expect pretty, floral, plummy/blackberry aromas flecked with savoury herbs and tobacco. It’s young, yet well composed, delivering fruit to very good length through a veil of drying tannin and some stony earthiness. Best in another year or three, but definitely drinkable now. Milk chocolate. Vintages 709436. Lillet is one of the most historic aperitif wines of France, fortified to 17 percent alcohol through the addition of orange macerated in brandy to barrel-aged sauvignon blanc and semillon. The nose is generously spicy, cedary, and laced with licorice and orange scents. Lillet Blanc is medium-sweet and fairly soft, with a pleasant balancing warmth and bitter orange-lemon and herbs on the finish. Try serving it on a bit of ice or cut with sparkling wine to impress your guests with an intriguing pre-dinner experience. Vintages 322297. 15 percent alcohol, then aged underground. It is sweet yet nervy, with fascinating aromas of dried figs/prunes, walnut, chocolate, caramel, and almost ginseng/amaro-like spice. Slightly nutty and pleasantly bitter on the finish. Best served at room temperature. LCBO 292797. This story appears in the Interiors edition of Ottawa Magazine. Buy the magazine on newsstands in February and March, or order your online edition.